Valua ble, thought-provoking content is a must for building an audience, but just throwing that content online won’t get you much attention. 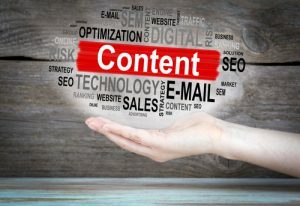 To gain a loyal readership that really engages with your construction company’s online content, you’ll need to put some effort into connecting with your audience. Directly interacting with people in your target audience is one of the best ways to make sure your content gets seen. Instead of just posting your own content to your social media accounts, get involved with your target readers by “liking,” replying to, and sharing their posts. When you leave a comment, make it something meaningful that will stand out. Build a list of active blogs that cover your construction specialty and when you spot a new post that might attract your target readers, stop by to leave a thoughtful comment. If there’s a forum where your ideal clients go for guidance on their building projects, make it a point to contribute your expertise there. Once you build a good reputation with the regulars, occasionally share links to your content when you think it might help someone. Cooperating with other businesses lets you tap into existing audiences to build your own. 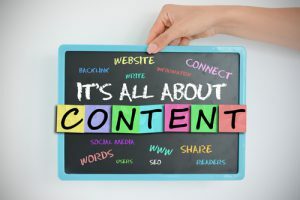 Plumbers, electricians, and other contractors, building materials suppliers, architects and civil engineers, interior decorators and landscapers can all help get more eyes on your content. Look for complementary businesses that share your target audience and put yourself on their radar by commenting on their blog and social media posts, and sharing their work with your audience. After a few weeks, send a personalized email to let them know about any blog posts or other content you might have that would benefit readers. You can even involve them in your content creation by asking for a quote or conducting an interview. Offering to write a guest post is another effective way to attract their readers’ to your content in a way that benefits everyone involved. Pillar content, as its name implies, helps support your construction company’s image online. Used correctly, it can get the word out about what your brand stands for and attract more of your ideal clients. A pillar post is a blog post that covers a specific topic in depth within around 2000 words. It aims to solve a clearly defined problem your target prospects are researching online. 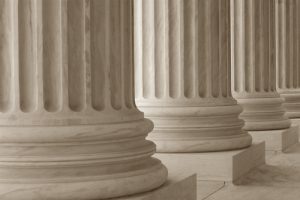 Deciding which problems to write about is the first step in using your pillar posts to express your brand. If you want to be the regional go-to company for the safest medical facilities, your posts might cover issues such as improving climate control and optimizing traffic flow in these buildings. Throughout your posts, show your readers how your services can solve the problem you’re writing about. Let your writing style reflect what your brand stands for in a way that sets you apart from your competitors. Are you the fun-loving home renovation team, the sophisticated luxury hotel specialists or the down-to-earth industrial facilities company? Whichever brand personality you go with, make sure it shines through your writing. No pillar content should stand alone. For each post, create five to seven shorter posts that expand on subtopics from the pillar post and link back to it. When you write new content, refer back to any related pillar posts. 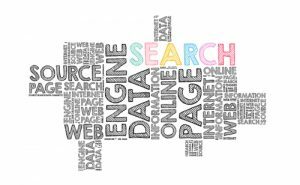 This keeps the focus on content that characterizes your brand while also boosting the pillar posts’ search engine rankings. Reuse your pillar posts’ content to save time and keep your brand image consistent across everything your produce. Turn the information in your posts into email series, infographics, video scripts, and social media posts. To reach new prospects, contact bloggers in complementary fields and let them know you have something their audience might enjoy. If your pillar content offers genuine value, chances are good you’ll find someone willing to share your work. Your construction company’s brand isn’t just your logo and tagline, but also the information you provide your audience. A solid base of valuable content helps your potential clients understand what your brand is all about. Start building your content base by creating five to 10 long-form blog posts that provide timeless, valuable guidance. For each one, focus on answering one of the most pressing questions your ideal client might have. Once you have ideas on what to write about, choose a format for each post. Depending on the topic, your post might be a step-by-step how-to, a quick-start guide, a media-based post with photos and videos from your portfolio or a statistics-based post about current best practices. Sharing stories of your clients’ successes is an especially effective way to showcase your brand’s best attributes and pull in leads. Outline a problem your client had, then detail how you solved it and what benefits your client gained from your solution. When you’re ready to write, go beyond your own knowledge and experience. Include hard data from reputable sources along with your own analysis and consider interviewing other experts. To garner the most backlinks and shares, you’ll want to aim for at least 2000 words per post, so it helps to draw in material from a variety of sources. Throughout your content, weave in examples of what your brand stands for. If you want to be known for comprehensive home renovation services, mention the hard-to-find services you offer or describe how you’ve guided clients through the entire design, production, and construction process. Finally, remember to lead your readers toward the action you want them to take, whether that’s downloading a case study or calling you to schedule a meeting. Once you have your first foundational content online, focus on promoting what you have, but don’t stop building your base. Following an editorial calendar can help you find time to create more high-quality content. No matter how much experience you have running a construction company, there’s always a chance to gain valuable insight by listening to your clients. The easier you make it for them to share their opinions, the more you stand to gain. Before you start inviting feedback, get clear on what parts of your business you want to improve. Are you trying to shorten your prospect conversion time? Do you want your clients to stay with you longer? Clients at different stages can give you different types of insight. New clients – You can learn how to make it easier to start working with your firm by asking your new clients about their experience getting started. Satisfied current clients – After you complete a project, ask your client what they thought went well and what didn’t. Departing clients – Dissatisfied clients are one of your best sources for ideas on how to improve your business. Pay attention to signs that suggest a client is about to leave and step in to ask for feedback. Even if you can’t salvage the relationship, you can learn what not to do in the future. The less time and effort your clients need to spend providing feedback, the more likely they’ll be to do it. Simple surveys work well if you keep them short. Two to five questions with space for comments is plenty. 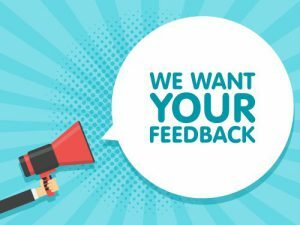 To get more specific feedback, closely tailor your questions to the client’s interests, such as remodeling, new home construction or multi-family residential construction. For new clients, include a short survey in your welcome package. For current clients, combine a feedback survey with a referral form. A quick phone call can give you even better results. You’ll be able to clarify your questions when needed and ask for more detail when a client’s comment piques your interest. Dissatisfied clients won’t always feel comfortable coming to you with their complaints, but a phone call can re-open the lines of communication. Blogging and using social media aren’t the only ways to bring more online attention to your construction firm. By leveraging good reviews, you’ll get more eyes on your business while also making a great first impression. While it might seem the only job of your online reviews is to convince prospects of your expertise, the benefits start long before that. Reviews are part of what help those prospects find your business in the first place. On platforms such as Google My Business and the BBB’s website, business profiles with the most reviews and the highest ratings tend to rank better in the search engine results than less active profiles. When your prospect searches for “office building construction,” on Google or another search engine, they’ll see a profile with 10 reviews of 4 stars or higher before one that’s written to target that phrase, but lacks reviews. The amount of activity your profile sees also helps boost its search engine ranking. 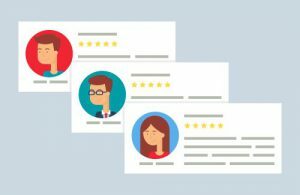 The more reviews your profile gets, the more people will see it and later leave reviews themselves, creating a self-perpetuating cycle of online popularity. First, choose one or two review platforms to focus on. Google My Business is one of the most reliable options. To maximize your business profile’s visibility, you’ll need to actively encourage your clients to leave reviews. After you solve a problem for your client, do them a favor or complete a project they’re happy with, directly ask for a review. Send a short email with a link to your preferred review site. To make their job even easier, offer ideas on what to comment on, such adherence to schedule and budget, quality of workmanship, and ease of communication. Add review site buttons to your website as a reminder for your existing and returning clients. Avoid the temptation to buy reviews. Review platforms can often detect fake comments and will penalize your profile for them. While a general pre-sale email marketing campaign might bring you a few new construction clients, it will miss opportunities to connect with many more. 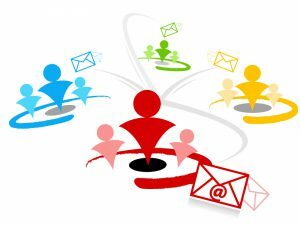 Through highly targeted drip marketing, you can build more mutually rewarding relationships with a wider range of prospects. When you send the same information to everyone who shows an interest in working with you, you’re bound to lose some of those prospects by failing to address their individual concerns. Instead of filing everyone into the same email drip campaign, segment by interest. If you target residential real estate investors, homeowners in need of remodeling, and renters looking to have a home of their own built, create a drip campaign for each group. By offering specific tips and insight that directly helps them reach their goals, you’ll hold their interest while demonstrating the kind of expertise they care about most. You’ll also have more freedom to detail the services you offer. One of those services could turn out to be the reason a prospect chooses your company over your competitor. What interests your prospects depends not only on their individual goals, but also on where they are in the buying cycle. Creating drip marketing campaigns for each stage of the cycle helps you deliver the right message at the right time. 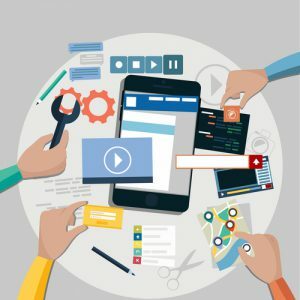 When a prospect signals that they’ve moved to another stage, such as by downloading a case study, watching one of your video series or scheduling a consultation, move them into a drip campaign designed especially for that stage. For prospects in the consideration stage, provide in-depth guides, whitepapers, and calls to action that lead them toward scheduling a face-to-face meeting. For those in the final decision stage, offer comparison charts, client testimonials, and incentives such as free extra services. Don’t neglect your previous clients, either. A follow-up drip campaign can help encourage repeat business and referrals.